This Wrangler Riggs Men's Navy 3W501 NV Long Sleeve Cotton Twill Work Shirt delivers long-lasting rugged wear with great comfort and styling. It's perfect for both on- and off-the-job wear, the perfect blend of professional good looks and wear-it-all-day comfort. ... (see full details) (see specifications) #WRG3W501NV. This Wrangler Riggs Men's Navy 3W501 NV Long Sleeve Cotton Twill Work Shirt delivers long-lasting rugged wear with great comfort and styling. It's perfect for both on- and off-the-job wear, the perfect blend of professional good looks and wear-it-all-day comfort. We think it might just be your next favorite shirt -- and we have them in several colors! Constructed in 10-ounce 100% cotton twill, this good-looking men's top features a velvety peached finish for a soft feel. It's also been garment washed to pamper you with softness. It's a skin-pleasing texture that you'll appreciate on brutal work days, and it's also just right when you're headed out for some well-deserved downtime. Styled for a professional look, this button-front shirt features two button-through chest pockets with a hidden utility loop, a button-down collar, long sleeves, and two-button adjustable cuffs. The exclusive Room2Move® styling delivers a relaxed fit for greater extension and flexibility. Side gussets offer a greater range of motion and flexibility. The straight back yoke is split for a comfortable fit. This stylish and versatile top will get you through the workweek and be ready for the weekend, too. Ditch your old work shirts and put yourself in this sharp, durable, comfortable Wrangler Riggs Men's Navy 3W501 NV Long Sleeve Cotton Twill Work Shirt. Order one for every day of the week, right here at Working Person's Store! 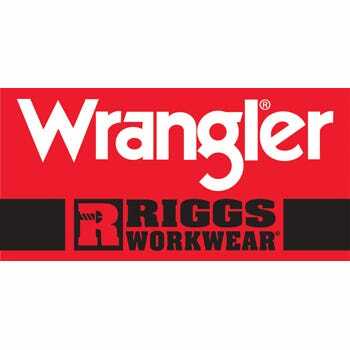 Bought some of these Wrangler Riggs shirts for work and they are very nice for the money. Seem to be roomy enough as advertised and look and feel durable. The color selection is nice and the colors are good "working man's" type so you don't look like you're going to an ice cream social when you're parking RR cars or running the chainsaw. The shirts are soft and comfortable and the stitching on the seams and buttons is excellent. I am sure these shirts will provide years of service. Also, they're 100% cotton! The most comfortable,durable work or play shirt. I wear the tall size which has the extra sleeve length and tail which does not shrink when laundered. Only request is to offer in additional colors. Did I mention how comfortable this shirt is? 9 out of 13 people found this product review helpful. I ordered the Tall size. It did not shrink. The sleeve and tail length are still long enough. Lots of room, feels and looks great. Comfortable, great fit & well-made. My standard issue work shirt for several years now. Always looks good, even right out of the dryer without ironing. I was not so lucky with some other brands of cotton twill shirts which always required ironing. I'm hard on my clothing and these have performed flawlessly. I will be sticking with Wrangler Riggs shirts. Highly recommended. Wrangler Riggs Shirts: Men's Navy 3W501 NV Long Sleeve Cotton Twill Work Shirt is being added to your cart.